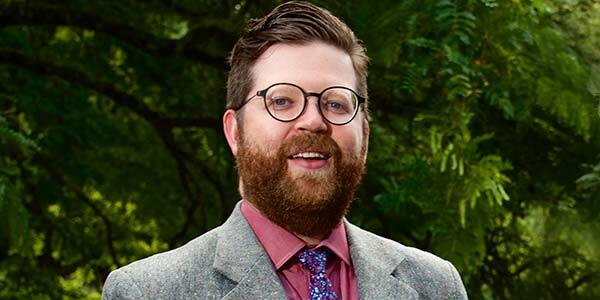 Computational cardiology expert Patrick Boyle joined UW Bioengineering in September as an Assistant Professor. He will lead the Cardiac Systems Simulation (CardSS) Lab at UW, with the goal to engineer new methods for predicting and preventing heart rhythm disorders and sudden cardiac death. The CardSS Lab will pursue a better understanding of atrial and ventricular arrhythmias, explore applications of cardiac regenerative medicine, and apply emerging technologies such as optogenetics to develop new treatments. He joins UW from Johns Hopkins University, and he received his Ph.D. in biomedical engineering in 2011 from the University of Calgary. “The University of Washington has been an incredible hotbed for the type of research that I’m interested in,” Dr. Boyle says. His work will be complementary to work at UW’s Institute for Stem Cell and Regenerative Medicine and Center for Cardiovascular Biology. In addition to the bioengineering department’s excellence, and its holistic approach to engineering education and research, a key factor in Dr. Boyle’s decision to join UW was its strong cardiac electrophysiology clinical team. When several cardiac electrophysiologists came to meet with him during his interview process, and he discovered they shared similar research interests and were interested in using his approach. He knew about UW’s strengths in clinical research, but Dr. Boyle didn’t realize how perfectly his own interests aligned. In one project, he is working to address irregular heart rhythms with simulation-based, personalized atrial ablation treatment plans based on each patient’s unique pattern of disease-related scarring. 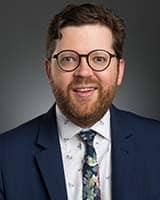 He met a UW researcher pursuing complementary work using pre- and post-procedure MRIs of cardiac ablation patients to develop an understanding of the different types of disease-related remodeling. Not only can his team explore new collaborations, but they will also have access to several years’ worth of MRI images and other clinical data. “For someone like me in the world of computational modeling, this sounds like a treasure trove, an embarrassment of riches,” he says. Outline of computational and mathematical framework for multi-scale simulations of cardiac electrophysiology that will be used for projects conducted in Dr. Boyle’s Cardiac Systems Simulation Lab. Before any heart-saving treatments are created, first researchers have to make the heart sensitive to light. In 2016, Dr. Boyle worked with his Johns Hopkins mentor, Professor Natalia Trayanova, and experimental collaborators at the University of Bonn to show that optogenetic defibrillation halted arrhythmia in mouse hearts. This approach also worked in computer simulations of the human heart. That research, published in the Journal of Clinical Investigation, also determined the kind of light needed to penetrate cardiac tissue. Their remaining challenges are to determine how to make the human heart light sensitive and how to deliver a large amount of light to the heart’s surface, something they simulated in the paper. “We have an idea about how that might look, but progress in gene and cell therapy hasn’t progressed to the point where it would make sense to try a clinical trial,” he says. Dr. Boyle’s mission is two-fold. First, he aims to develop applications, such as exploring the feasibility of optogenetic defibrillation, using a computational model to better understand how arrythmias happen when stem-cell derived cells are injected into the heart, and working with clinicians to develop personalized treatment strategies for cardiac ablation. A second priority, Dr. Boyle says, is to ensure that these solutions are scalable to real-world clinical demands. His team’s computational simulations are highly complex and require massive computational power to produce patient-specific predictions in a clinically relevant period. In one study, clinical collaborators asked his team at Johns Hopkins to deliver accurate patient-specific treatment plans based on simulations in less than 24 hours. “That’s an all hands on deck situation,” he says. However, this resource-intensive approach isn’t sustainable in the long term – it can’t be used to treat hundreds or thousands of patients. “Part of my overarching mission in my career is to find ways to simplify and automate those tasks in a responsible way so that we can get accurate results from these computational simulations without everything in the lab grinding to a halt,” Dr. Boyle says. Over the next five to six years, he hopes to advance the technology enough to produce reliable and accurate computational analysis with minimal human intervention. At UW, Dr. Boyle expects he will have the computing power to meet this goal. He figured the UW’s computational facilities would be good, but he underestimated the strength and diversity of the available resources. “I’m going to have an incredible amount of computational power at my fingertips,” he says. He also appreciates UW’s partnerships with several major cloud providers. Between his junior and senior years in college, he took an 11-month internship at Sanyo Electric Company in Japan. There, he worked on their broadcast multimedia team, developing technology that’s often taken for granted – the ability to stream a high-definition movie on a phone, computer or TV. He credits the experience with steering him to his passion for the quantitative side of his biomedical engineering research.